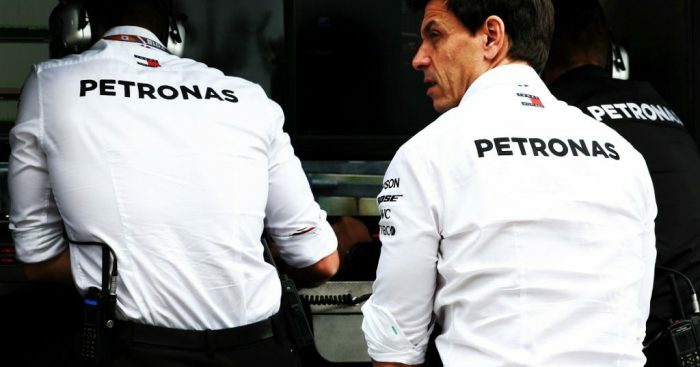 Mercedes principal Toto Wolff has warned that although he understands Ferrari’s use of team orders in China, they risk ‘opening a can of worms’. Ferrari maintained their 100% record this season of using team orders in the race, asking Charles Leclerc to let Sebastian Vettel through after he had passed him at the start. The German appeared faster than his team-mate at the time but failed to make any impression on the Mercedes pair in front. The decision would allow Lewis Hamilton to claim victory, with Valtteri Bottas finishing P2 to make it a third straight one-two for the Silver Arrows, while Leclerc’s race was ruined forcing him to settle for P5. “That’s a tricky situation of course, because you would like to have the quicker car hunting down your opponents,” Wolff said. “Sebastian said that he had the quicker car at that stage, so they reverted the order. I can understand that somehow. Mercedes used similar tactics with Hamilton and Bottas at the tail-end of 2018, but Wolff also recalled the days of Hamilton and Rosberg as a reason for his sympathy towards their rivals. “It’s not an easy situation. We have been there with Nico and Lewis, and we have been there with Valtteri and Lewis as well,” he explained. “We had a situation today where they were pushing each other very hard, taking a risk of potentially not finishing the race.